Blue Carbon is still a new concept that needs the right facilitation to kick-start projects and promote blue carbon actions. CATIE undertakes relevant steps to facilitate the development of sound scientific and political frameworks: carbon stock inventories, livelihoods and vulnerability studies, assessment of land-use dynamics and associated historical emissions, facilitation of policy development and promotion of capacities across the Central and Latin American region. limited knowledge and guidance for blue carbon project design and implementation Despite increasing interest in blue carbon, limited guidance is available for project developers and countries to design and implement initiatives that can offer climate change mitigation and adaptation benefits while delivering improved livelihoods to coastal communities. CATIE addresses these needs through a cohesive package of scientific research and political advising throughout the Americas. Building blocks can operate in concert at the local and national scales. Local carbon inventories (building block 1) and geospatial modeling (building block 3), together with livelihoods and vulnerability assessments (building block 2) provide information to prioritize site selection and inform national decision-making. Local people and government technicians can be recruited and trained so their capacities are enhanced and their experiences can be scaled up. At the national level, the development of national policy frameworks (building block 5) allow for the inclusion of blue carbon elements in national emissions accounting and budgeting, mitigation and adaptation plans, restoration strategies, national forest inventories, and REDD+ and MRV. In addition, economic valuation data (building block 4) are needed for designing financial mechanisms that will allow for potential funds transfers to promote local conservation and enhance local development. Furthermore, the integration of these building blocks across the Americas is designed to promote a regional network of blue carbon scientists and practitioners, policies and projects that integrate mitigation and adaptation goals while promoting local development (building block 6). Social: In the Gulf of Nicoya, Costa Rica, people from local organizations see their capacities enhanced and they are further empowered to conserve mangrove resources through a better understanding of their importance for climate change mitigation and adaptation. Economic: We provided the first ever estimate of (mangrove) natural capital loss due to mangrove area losses in the Gulf of Nicoya, Costa Rica. Ecological: The Government of El Salvador committed to doubling by 2016 the area of mangrove forests under sustainable management plans due to blue carbon interventions started in 2014. 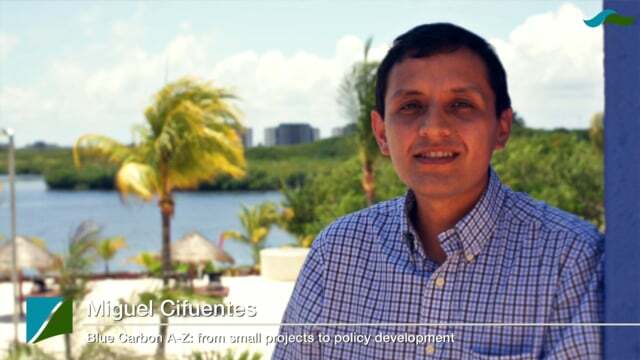 CATIE is leading blue carbon science and policy development across Central America. We started with small carbon inventory projects in Costa Rica, which have now been replicated in Panama, El Salvador and Honduras. Other building blocks were later incorporated into our implementation package as further interest in blue carbon was promoted. A recent project in the Gulf of Nicoya, Costa Rica, exemplifies the integration of many of the building blocks described in the solution. We partnered with Conservation International to develop a participatory project that would involve mangrove restoration, capacity building of local organizations and people ranging from school age to adults, a livelihoods assessment, a climate change vulnerability study coupled with proposed local adaptation strategies, valuation of ecosystem services, and ecosystem-level carbon inventories. In parallel, we are facilitating the development of a blue carbon strategy and action plan for the country, which will be part of the larger National Wetlands Policy statement that the Government of Costa Rica is developing. Results from this and previous projects have been showcased in the local news and social media, which has triggered interest in blue carbon in the country and elsewhere in Central America. 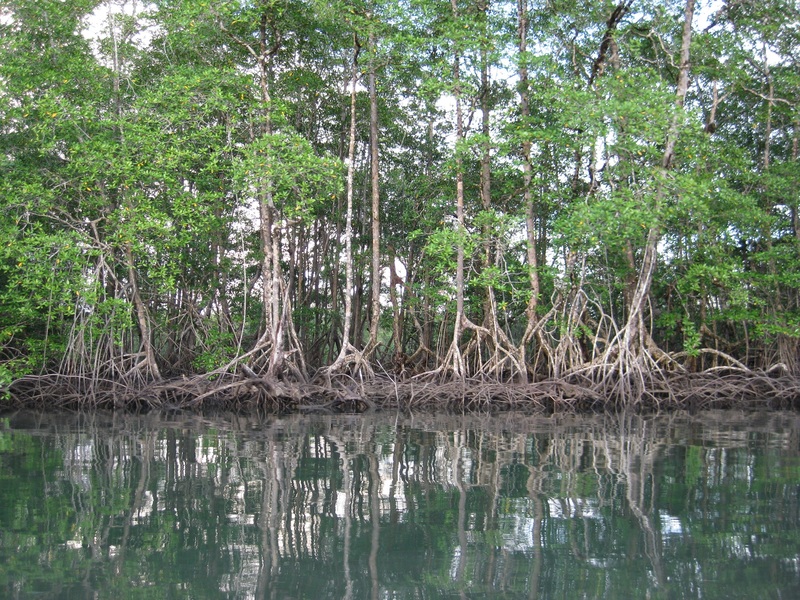 This has led most countries in the region to recognize the importance of mangrove forests as critical sinks of carbon and include them as separate strata in their national forest inventories and REDD+ (Reducing Emissions from Deforestation and Forest Degradation) MRV (measurement reporting and verification) plans. It is inspiring to see how something that started as a small pilot research project in a protected area in Costa Rica has fueled dialogues across Central America, Mexico, and even as far south as Ecuador, and now has the potential to serve as the basis for much larger scientific and political collaborations. We still face challenges related to project design (i.e. good practice guidelines and standardized international standards and methodologies) and implementation (i.e. ensuring projects can deliver social benefits, increase resilience of coastal communities, and enhance local livelihoods) but we are confident that funding streams and further international support will allow us to continue delivering the best quality blue carbon solutions in Central and South America.